Student dormitories (or Studentenheime) and flat-share communities are the most reasonable residence possibilities and are therefore the most requested in Vienna. About half of Vienna’s students are not Austrian. Although there are over 30 student dormitories with 14.800 beds and a couple of thousands flat-share apartments in Vienna, there is a huge lack of available spaces. The housing market is very tight and getting a decent place to stay for a reasonable price can be very hard. We strongly recommend looking for rooms as far in advance of your planned arrival as possible. As the admission modalities differ from dormitory to dormitory you should ask directly at the dormitory of your choice about the formalities about six months before you start to study. The costs are between €350 and €430 for a single room and €220 to €300 for a double room. Single and double rooms – functional as well as comfortable. The communal kitchen and common rooms are popular meeting points for friends. The dormitories are located near universities. Fitness and laundry rooms, bicycle storage and gardens. Internet & SAT connection, TV set. Convenient order and delivery of our FLH accommodation packages. Great community with all sorts of events (partly co-organised by FLH). 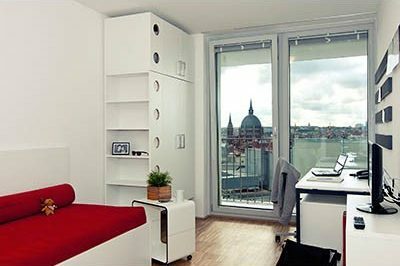 Here you can find a full list of all the 10 dormitories in Vienna, their room prices, locations, and all other options (https://www.home4students.at/en/living/dormitories/61-studentenheim-grosse-schiffgasse/ ). If your requested dormitory is not available, we still recommend you to register and get on the waiting list. There are often times short-notice cancellations and therefore last minute vacancies. Home4students also provides its students with the option of summer dormitories. For registration, go to this link: (https://www.home4students.at/en/register/registration-form/ ). 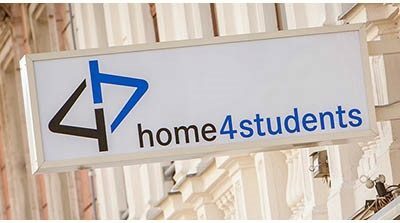 Home4students office address is: Österreichische Studentenförderungsstiftung, Sensengasse 2b/1, 1090 Wien. The other housing company we strongly recommend you to have a look at is OeAD. 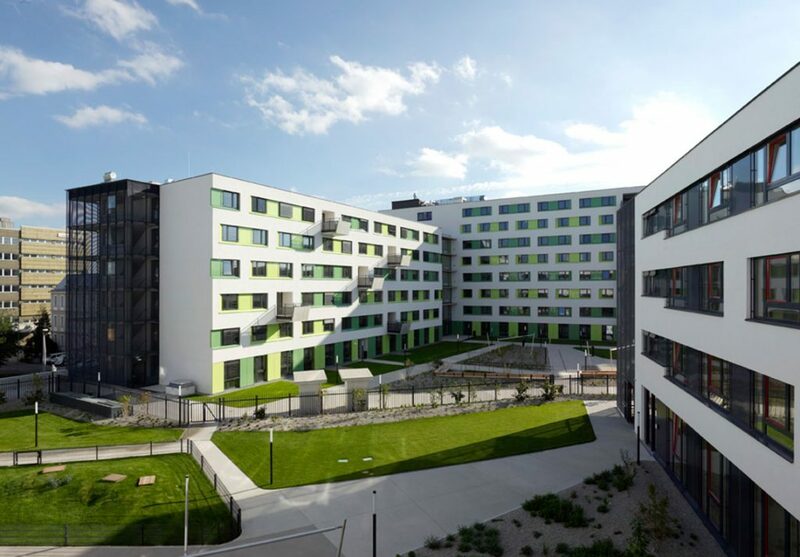 The OeAD-Housing Office offers accommodation for about 12,000 students annually in OeAD-Guesthouses and other student accommodations in Vienna, Graz, Salzburg, Innsbruck, Linz and Klagenfurt. With OeAD students enjoy all the nature, culture, events and regional cuisine that Austria has to offer. With more than 15 years of experience, their main goal is making your stay as pleasant as possible. They provide high quality accommodation at a favorable price with appropriate terms and they create optimal general conditions, which ensures guests have a successful stay in Austria and return home with a long-term positive memory of their experience. Helpful Key Support and a Survival Guide to arrive relaxed with a smile on your face. Offers are always arranged to meet the needs of students. Close cooperation with universities which provides you with optimal management of resources. Many different accommodation options – such as single or double rooms, 1,2,3 or 4 rooms apartments, private properties, etc. You can find the full application process, explained step by step here. Office Hours are Monday to Friday: 09:00 am to 12:00 noon and additional Tuesday and Thursday: 2:00 pm to 4:00 pm. FLH tip: Get in touch with our partners home4students and OeAD as early as possible to start the application process.